Home Celebs Disha Patani all set to romance Kartik Aaryan on big screen? New Delhi: On Tuesday, we informed that filmmaker Imtiaz Ali is keen to collaborate with current sensation Kartik Aaryan for his upcoming project. The filmmaker had revealed that he has been working on multiple scripts which will be bankrolled by his production house Window Seat Films LLP. In the meantime, the makers have not yet announced the female cast for the project, which is believed to be a rom-com. 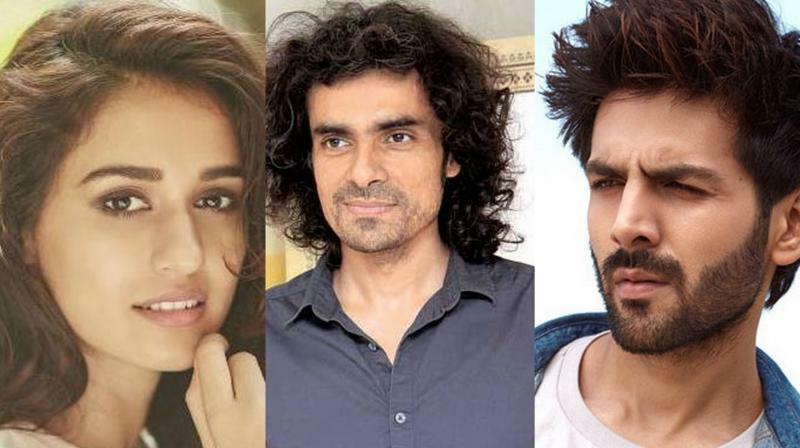 A Bollywoodlife.com report claimed that Imtiaz is keen on bringing Internet favourite Disha Patani on board for this film. However, there has no official confirmation on the same. Disha is currently shooting for Ali Abbas Zafar’s multi-starrer film ‘Bharat’. She plays the role of of a trapeze artist in the film. She will be seen working for a circus where she performs some daredevil stunts. It was earlier reported that Disha would play Salman’s love interest in the film. However, contrary to the report, the ‘Baaghi 2‘ actress will be seen as Radha, Salman and Katrina’s daughter in the film. Imtiaz Ali had last directed the Shah Rukh Khan–Anushka Sharma starrer ‘Jab Harry Met Sejal’ which failed to do any magic at Box Office. He went on to produce his latest, ‘Laila Majnu’, starring Avinash Tiwari and Tripti Dimri which also tanked completely.